Customer Testimonials for Integrity Autosource Inc. 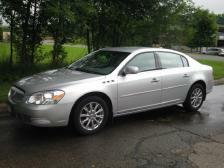 I cannot thank my Credit Union and Integrity Auto Source enough for helping us find and purchase our new car last week! I will never use a dealership again! Blake was able to quickly find exactly what we were looking for, then had it fully inspected, detailed and ready for us to come test drive. Of course it was the perfect car because it was found just for us! That process was simple, but there were so many things that he did after the sale that cemented him as my go to “car guy” for the future. After we drove it we asked him to fix a few minor things and it was done with no problems! The car only came with one key. He went online and ordered an additional key for us, had it shipped to our house and gave us the number of the person we need to call to program the key. A few days after the sale we were experiencing another small issue with the car. Blake drove to my house in the morning, took the car, fixed it and returned it to my house that afternoon. 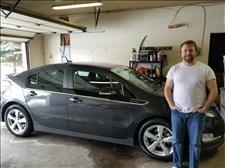 I had been shopping for a Volt, plus extensive reading of the vehicle for several months. As many consumers I was initially put off by "EV fever" because of a battery having to survive in Minnesota. Once I was confident that the car was very promising, Brett had one 2014 Volt that was stickered $2000-$3000 less than popular dealerships around. Honestly I thought something was going to be wrong with it. I couldn't have been more wrong. I've never bought from a small dealership before. But the sheer amount of testimonials from previous owners won me over. I had a good feeling about Integrity Auto Source. 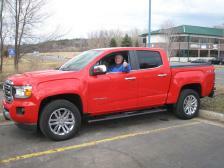 I scheduled a test drive, throughoutly inspected the vehicle's condition, and I bought it the same day. I had alternative financing already lined up, but found out the awesome APR financing through the credit union next door was a no-brainer. Brett was an awesome businessman too as well. We had a good chat when the credit union was processing the paperwork. Just an honest, laid-back guy running his own business. Nothing "used car salesman" about him or the dealership at all. Bottom line, if they have a vehicle you've been looking for, go for it. 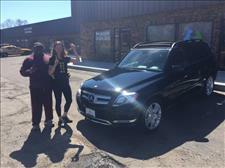 This is the second vehicle purchase from Integrity Autosource. (first one was for my husband two years ago...he still loves it) I would NOT consider going anywhere else. Dealerships make me want to vomit with the high pressure and long sales pitches. When it came time for me to get a new one ..........I did my homework and knew EXACTLY what I wanted (even down to the seat choice), mileage, year, make and model (2016 toyota camry), exterior color (blizzard white) Blake never wavered on my list of wants and was super polite and responsive on my questions. The whole process was less than 5 days start to finish. It was completely seamless with no stress or hassle and he even delivered to our house. Its like the PERFECT way to buy a car! 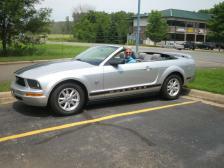 I love my new car................thank you so much Blake! 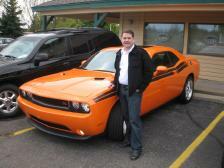 Working with Blake of Integrity Autosource was so seamless! His follow through and customer service was second to none. He was always supportive and easy to work with. Great personality and reliable through beginning to end. We will refer everyone to him! Thank you Brett! I think this is the 4th car we've bought from you? You always make it easy and enjoyable and we appreciate that! Brett, I have purchased a lot of vehicles over the years and I have to tell you that this is the most seamless and easy purchase I have ever experienced!! 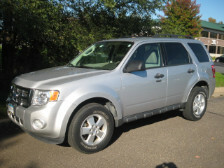 Brett, thanks so much for your assistance today purchasing the 2012 Escape! I never knew a company like yours existed, what a great idea! Driving the Escape we instantly felt comfortable and at ease. I had done my homework and knew the car was good on paper, but it really seems you cherry pick your inventory. After enduring a lot of stress this week between the accident and insurance drama, and then sorting though at least 100 used car ads only to find so many falsely advertised with clean titles and incorrectly listed specs, we really appreciate your integrity and the ease of the process. In the future I hope to return for help getting my husband a new or gently used Ford F-250. We can't afford it now, but maybe when the Escape is paid off! Customer service far beyond anything I expected. 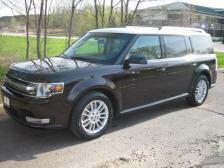 Vehicle was also in excellent condition when I had it inspected by my mechanic. Would highly recommend integrity autos to a friend. I would like to comment on Integrity Autosource and Brett Broghammer! I was in the market for a new vehicle and was made aware of Brett and Integrity through my Credit Union and from the first time I spoke with Brett, I knew I had made the correct choice. Not only was Brett friendly and very professional, but also all of our dealings were based on the "what works best for you" philosophy. From dropping off a vehicle to test drive to the updated vehicle maintenance to making sure the customer is 100% SATISFIED...Brett goes the extra mile for his customers and he has definitely made another "customer for life". Thanks again! I had done my research and found the exact car I wanted.  I called Brett at Integrity AutoSource with the information. The next day Brett had found my future car, and it had everything I wanted AND he saved me money! He told me I would love it and he was right! 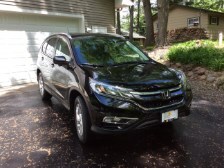 Thank you for finding the car of my dreams with an easy and quick purchasing process. 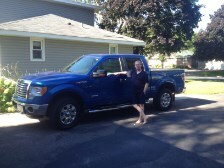 Love my new truck! Thank you! I love my new car! Thank you Paul! Thank you for finding my new car Paul. I love it!! Thanks for finding my new truck. I can't believe how easy this went. You even delivered it to my house. Thanks again! Thanks Paul for helping us make our daughters birthday the best ever! She loves here new car! We couldn't have done it without you. CRAIG AND HIS NEW "NATIONAL PARKS CRUISER"
I knew exactly what I wanted and called Brett at Integrity AutoSource with the information. He was able to find one at the right price and he got the deal done. He even delivered it to my house!! Brett, I just wanted to take the time to thank you again for the wonderful job that you did getting me my new car! You saved me over $3,000.00 compared to what the dealer quoted me. Love my new Lincoln Brett! Thanks! Paul, you are very good at what you do! Thank you for making this process so simple, convenient and painless! Thank You so much Brett. Being able to factory order exactly what we wanted from you was great! 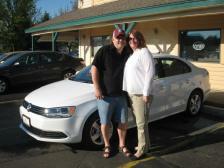 This was the easiest and most delightful car buying experience we have ever had! We will be passing your name around. Thanks again. Brett, you make this whole process too easy! Thanks for all your help! 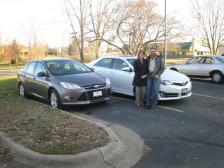 BRETT YOU MAKE THIS PROCEES SO EASY AND STRESS FREE THAT WE WENT AHEAD AND BOUGHT TWO CARS! WE REALLY APPRECIATE YOUR HELP AND PATIENCE. THANK YOU SO MUCH. WE'LL SEE YOU AGAIN IN A FEW YEARS! 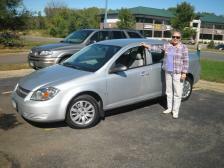 I am absolutely thrilled with my new Cobalt. It's exactly what I wanted and it's like brand new. I love it Brett. Thank you so much! I've bought many cars from you over the years Brett but this is my favorite! Thanks for finding me the perfect car! I love it! Easiest car deal I've ever done! Thanks Brett!! 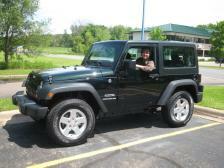 I love my new Jeep! Thanks Brett! Great car, I LOVE IT, never had anything like it! Thanks for finding the perfect one! 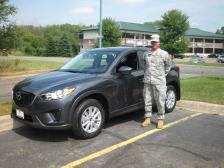 Brett, Thank you for your service and the quality of vehicle you selected for my son. Our service technician went through the vehicle checking a long laundry list of things and the only thing that needed replacing was the air filter. He was impressed on the condition of the vehicle and so are we. Thank you for all of your assistance and patience during this process. You have been very helpful. 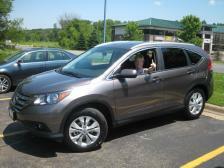 Zach loves his “new” car and I think it will be a good one for his first vehicle. 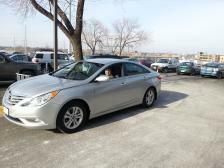 You made this whole process so easy and enjoyable AND delivered my new car to my office! What great service! Thank you so much. Brett/Integrity Auto Source comes to my mind when I want to purchase a car. I bought my first car from Brett and just recently came back again for my second car. Once again, my second purchase went through smoothly and I will definitely come back again when I need my third car. Brett delivers exactly what you want and makes your life less stressful when it comes to car shopping. 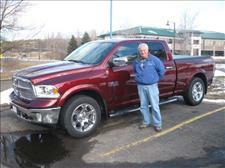 Brett provides great deals, dependable cars, and wonderful customer service. I would highly recommend Brett/Integrity Auto Source for anyone who's looking to purchase a car. 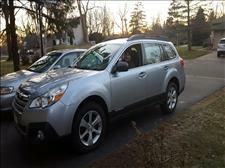 I recently made my third consecutive car purchase through Integrity Autosource. One phone call to Brett is all it takes! Buying a car through Integrity Autosource is fast, easy, convenient, and a great value. I always get the car I want, at a price I can afford -- no hassles, no haggling, and within just a few days of that one phone call. Thanks Brett! This has been the best car buying experience I've ever had. Excellent service and a great price. This is definitely the way to purchase a car... no hassles - just a very straightforward, customer-friendly way to get exactly what you want! I will definitely recommend Integrity Auto Source to all of my friends! We just wanted to let you know how happy we are with the Equinox's! 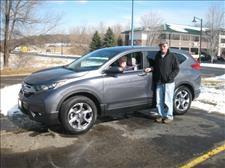 You provided us with the most pleasurable car buying experience that we have ever had with your great customer service. We have already passed your name on to friends and will continue to do so. Thanks again! 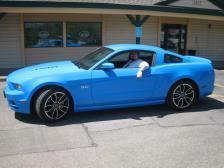 After visiting several dealerships, a family member recommended integrity autosource and Brett Broghammer. I contacted him and was impressed by his professionalism and knowledge. He promptly answered all my questions, negotiated a great deal, and expedited the financing. 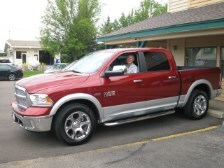 My new vehicle was delivered to my door within days and I signed all the paperwork at home. I highly recommend Brett for a stress free auto buying experience!